Pinoys will finally have the chance to experience the latest in cellular technology with the release of the next generation Nokia Lumia phones. Meet the Nokia Lumia 920, 820 and 620, all powered by windows 8 and comes with a unique camera technology, the exclusive Live Tiles and a load of innovative new designs. It also comes in a range of colors to pick from to suit your personality and mood. With the exclusive Live Tiles, you get instant access to all your favorite apps, contacts, emails, Facebook and tweets on your homescreen. Thanks to Windows 8, the tiles update in real time so you stay up to date with everything at a glance. Each Lumia smartphone comes with a unique lens that lets you take a series of photos with a single click and you can upload your photos straight away for your friends to see. Nokia City Lens is another cool feature that lets you discover what your city has to offer. Just hold your phone up and watch nearby restaurants, hotels, and other businesses pop up on your screen. You can find suggestions on where to eat. Find the nearest bars. Then read reviews, get phone numbers, link to websites or create a list of places to visit another time. What's more, Nokia Lumia Windows 8 smartphones come with full-versions of Microsoft Office, Outlook and Internet Explorer 10. Now. you can create and edit Microsoft PowerPoint, Excel and Word documents when you’re out and about, and browse easier than ever. If you can't wait to get your hands on these latest mobile phones, I suggest that you go to the nearest Abenson Appliance Store. 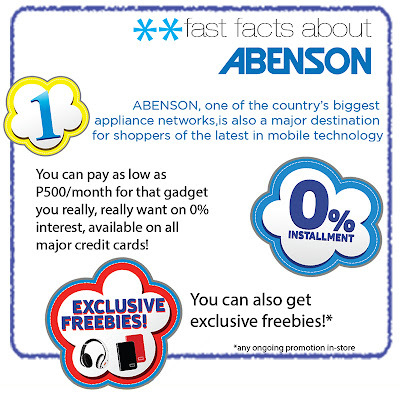 Aside from being one of the country's biggest appliance network, Abenson is also a major destination of gadget buyers. Abenson in fact makes it easy for you to score the gadget you've been wanting to buy. Pay as low as PhP500 a month for your dream gadget at 0% interest for all major credit cards. You may also get some freebies from on-going promotions within the stores. So what are you waiting for? 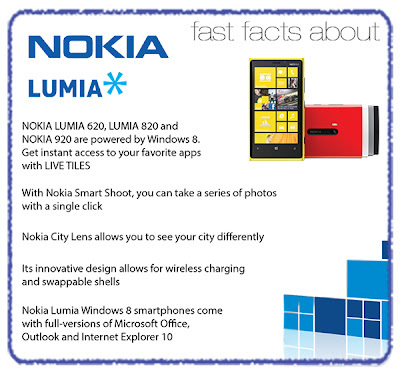 Experience the new Nokia Lumia at the nearest Abenson branch now. 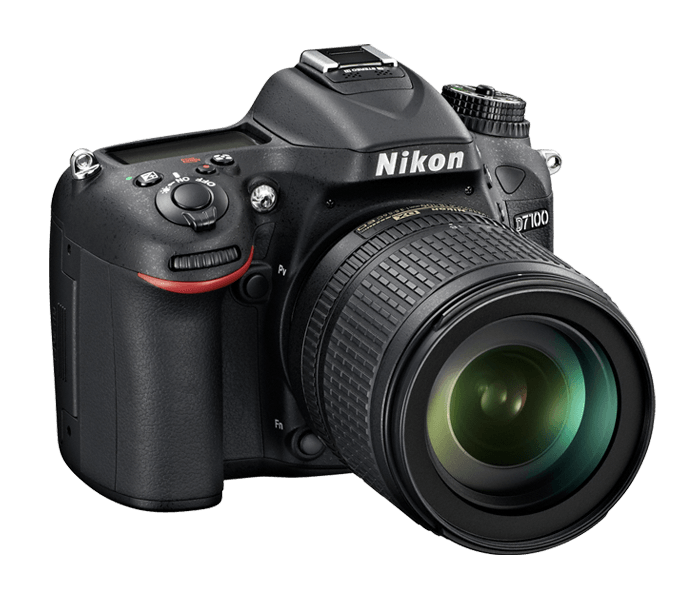 The D7100 makes it easy to share your great photos immediately, wherever you are. Connect the optional WU-1a Wireless Mobile Adapter and instantly transfer shots to a compatible smartphone or tablet, then upload them to the web. With Nikon's free Wireless Mobile Utility installed on your smartphone or tablet (available for both Android and iOS), you can also remotely control the D7100. Use your phone or tablet as a Live View monitor to take shots without having the camera in your hands, a huge advantage for everything from self portraits to digiscoping with a Nikon fieldscope. 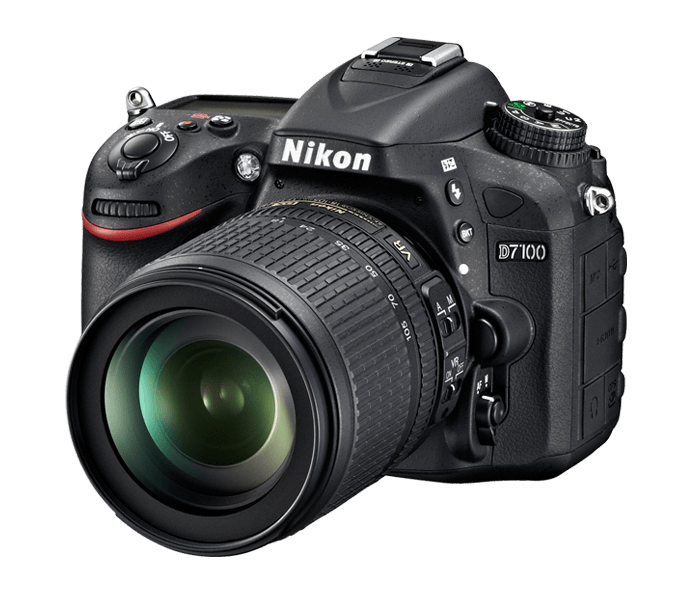 Tokyo - Nikon Corporation is pleased to announce the release of the advanced, high-performance DX-format D7100 digital SLR camera. 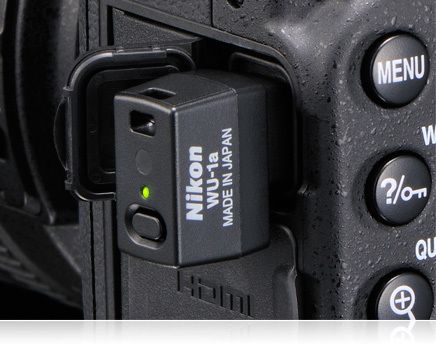 The D7100 is a compact, lightweight camera (W x H x D: approx. 135.5 x 106.5 x 76 mm; weight: approx. 675 g that offers superior portability. It is loaded with features that enable excellent subject acquisition and rendering performance capable of reproducing the finest details. The high density of 51-point AF system accurately acquires the intended subject for superior subject acquisition and tracking performance. Cross-type sensors have been adopted for the 15 most frequently used focus points at the center of the frame. In addition, the center focus point (cross-type) is fully functional with lenses with a maximum aperture of f/8. This means faster, more precise autofocusing with a variety of conditions. The D7100 is also equipped with a new crop image area, 1.3x DX crop, which increases the angle of view by approximately 1.3x that of the standard DX-format angle of view. This effectively increases lens focal length to an equivalent angle of view of approximately 2x, making distant subjects larger. In addition, the 51 focus points cover the entire image area when 1.3x DX crop is enabled for quick and certain acquisition of subjects moving randomly through the frame with high-speed continuous shooting at approximately 7 fps. 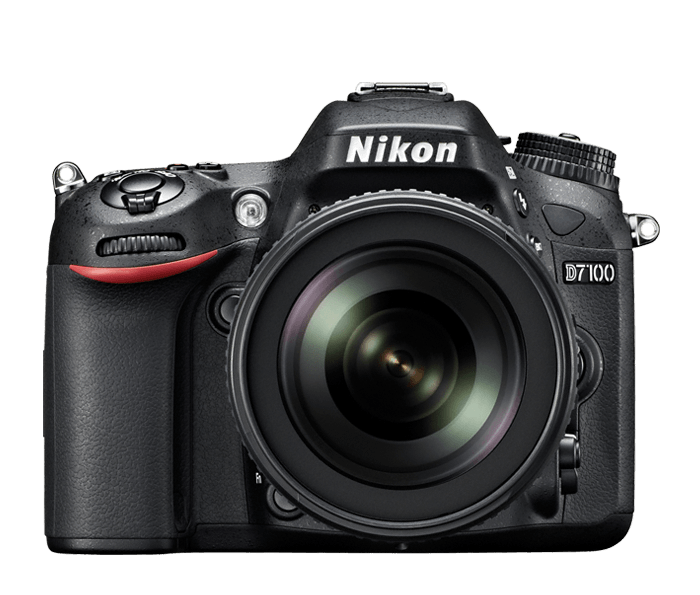 The D7100 is also equipped with a DX-format CMOS sensor, an effective pixel count of 24.1-million pixels, the high-performance EXPEED 3 image-processing engine, and does not have an optical low-pass filter. These features enable excellent rendering with high resolution. The incredible potential of the high pixel count, high-definition D7100 can be maximized by the use of NIKKOR lenses, which offer superior rendering performance made possible with Nikon's own optical technologies. The D7100 also offers a number of new functions that improve operation and support more natural and efficient shooting, including Spot White Balance, a white balance Preset Manual option that allows users to choose a specific subject from which white balance is measured with shooting in live view. 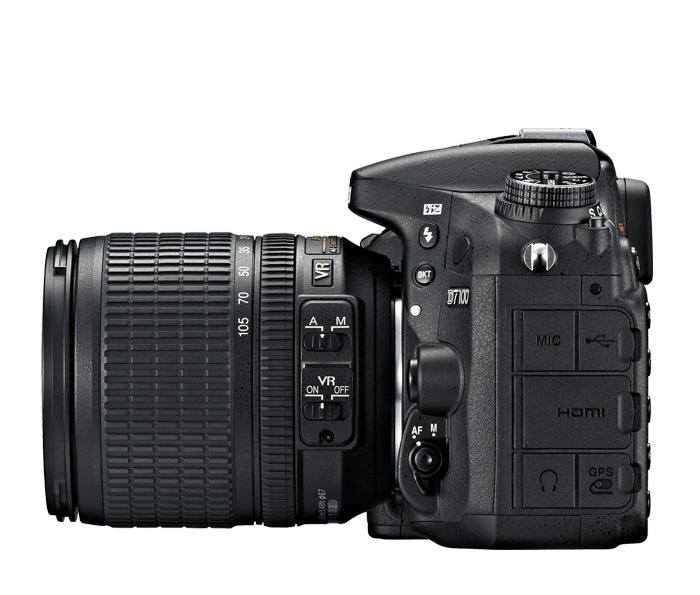 Additionally, the D7100 features an RGBW array that enables more effective accumulation of light, as well as a large, 3.2-inch high-resolution TFT LCD monitor with wide viewing angle, and an button that enables direct access to frequently used function. It seems my resolve to avoid buying too much toys this year will be broken after all. 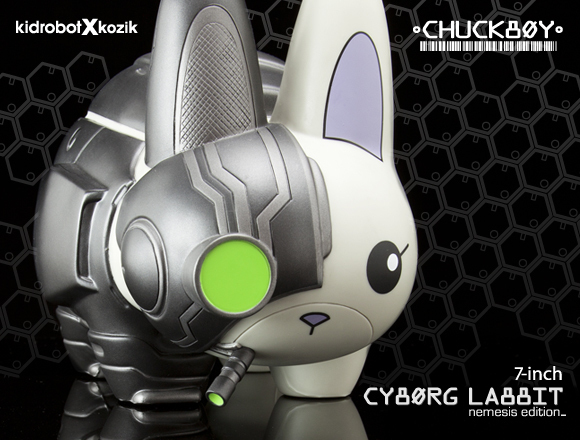 Just when I am about to congratulate myself for lasting two months without buying a toy, Kidrobot announces the limited release of the Cyborg Labbit, Frank Kozik's collaboration with Chuckboy. 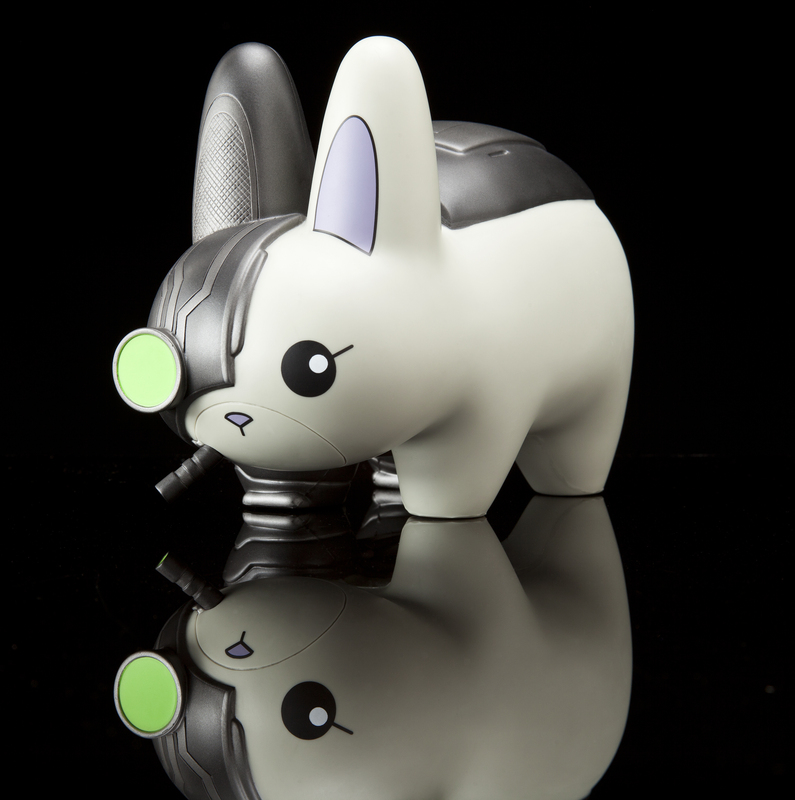 Cyborg Labbit Nemisis is a dark rogue non-stop smorker. 7-inch vinyl with two ends that always glow, this Chuckboy upgrade to the Kozik classic is stronger, faster, and smorkier than ever before. 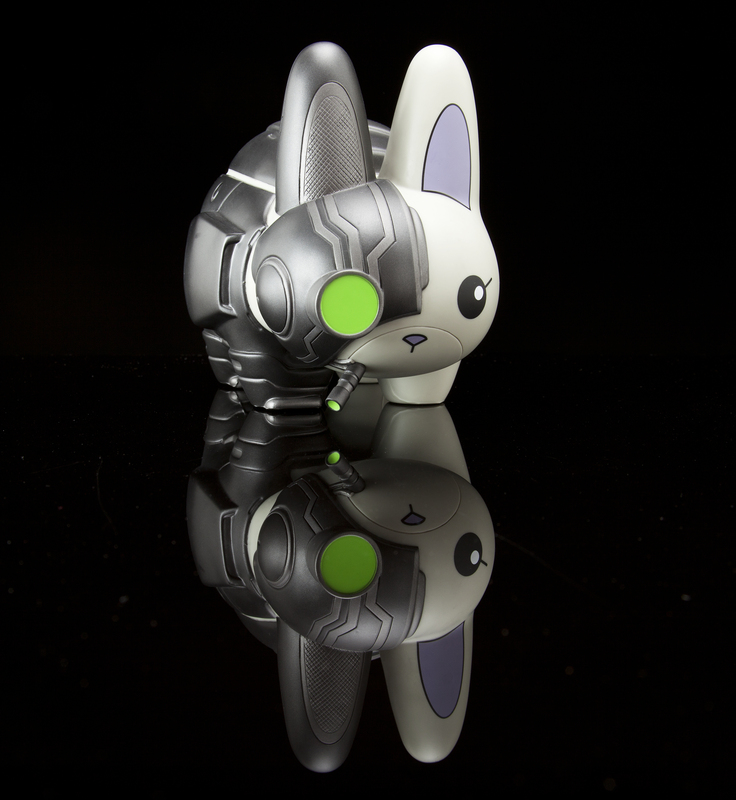 Only 1,000 Labbits went hybrid and they hit the streets March 14 at Kidrobot stores, kidrobot.com, and select retailers worldwide for $60 US.